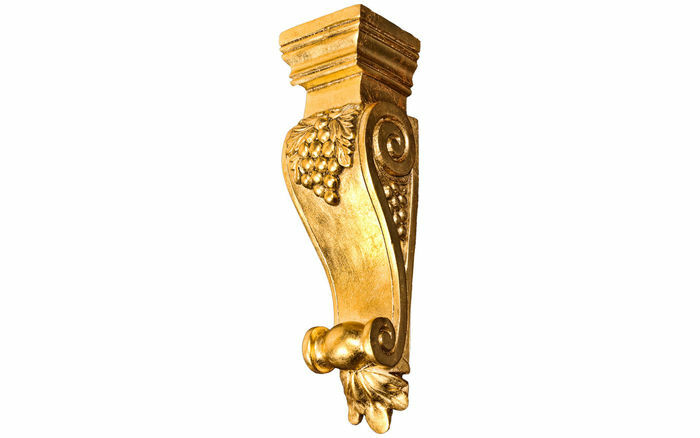 The GF-1130 Corbel is 12-3/4" tall, 3-1/4" wide, 3-1/8" deep, and has a Gold finish. 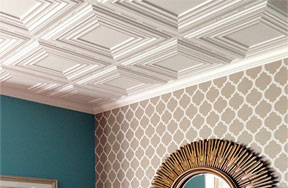 Below countertops and cabinets, along doorways and arches, there are countless applications for these beautiful pieces, and they are incredibly easy to install. 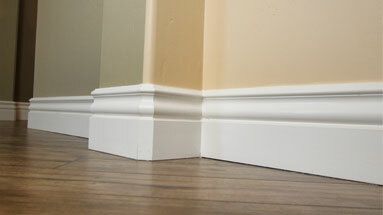 Made from polyurethane or cast resin, they are lightweight, easy to handle, and amazingly durable. 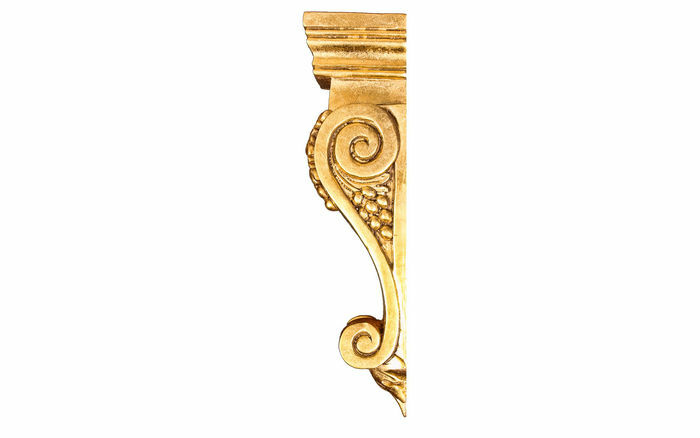 If you’re looking for an elegant way to adorn your home or business, our gold products are the perfect way to achieve your desired look. 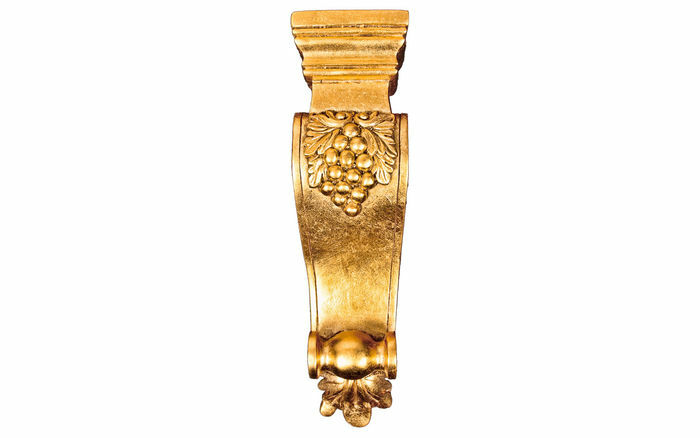 With their intricate design and gold coating, our gold products have an elegant look that is sure to satisfy all who desire robust grandeur and beauty in their home or business. Please take extra care in handling and working with gold foil pieces while completing your projects as the foil is delicate and susceptible to showing every dent and slightest damage. We recommend applying a coat of Rustoleum Clear Gloss Lacquer, available at your local hardware store, on all gold foil pieces to prevent peeling and strengthen the gold. DO NOT use nails or screws on the foiled surface. This will result in chipping and flaking of the surface, and typical methods for filling nail or screw holes will not blend with the gold surface. 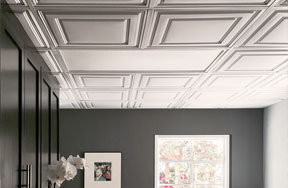 Instead, use Loctite brand PL Premium adhesive exclusively for installation. 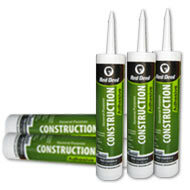 This adhesive is strong enough to support the product alone and can be found at most local hardware stores. 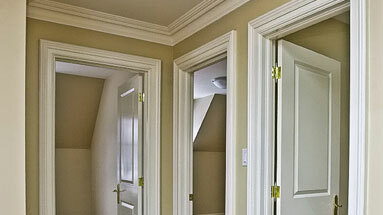 uDecor, Inc. provides a LIMITED LIFETIME WARRANTY to the original purchaser of our Gold Foil finished products. 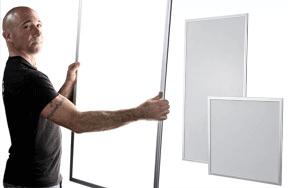 This LIMITED LIFETIME WARRANTY provides that the SUBSTRATE material will be free from manufacturer defects in material and workmanship under normal and expected use. This warranty does not encompass all of the products sold by uDecor, Inc. and is exclusive to our 18K Gold Foil finished products only. Other products may carry their own manufactures warranty. Call us at 1-877-550-0600 for details. uDecor, Inc. provides a LIMITED 1 YEAR WARRANTY to the original purchaser on the FINISH of our 18K Gold Foil finished products. This LIMITED WARRANTY provides that the FINISH on the material will be free from finishing defects under normal and expected use for a period of one (1) year from the date of purchase. This warranty does not cover failure of a customer applied finishing system caused by material incompatibility nor does it cover finish failure due to customer neglect. 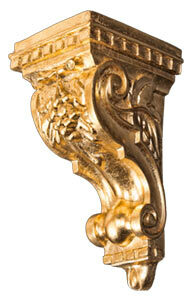 The 18k Gold Finish must be protected with a clear coat. 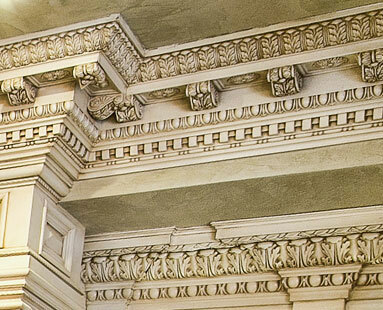 The Gold is thin and susceptible to mechanical damage if care is not taken. Gold Foil products should not be installed in areas that experience ambient or surface temperatures above 140°f. 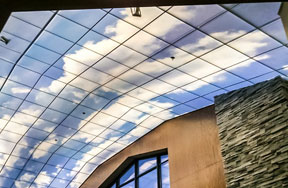 Gold Foil products are not recommended for exterior or wet location installation. 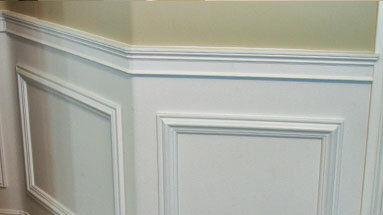 If the material is installed in one of these areas, protective measure must be taken for reasonable product performance. This warranty gives you specific legal rights, and you may also have other rights which vary from state to state. 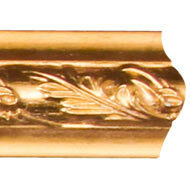 This warranty applies to our 18K Gold Foil finsihed products only.